Relocating to Colorado Springs or Looking for Fully Furnished Accommodations – Look No Further We Have Your Perfect Rental Here! Come stay in the beautifully appointed City Walk loft which provides all the comforts of home! 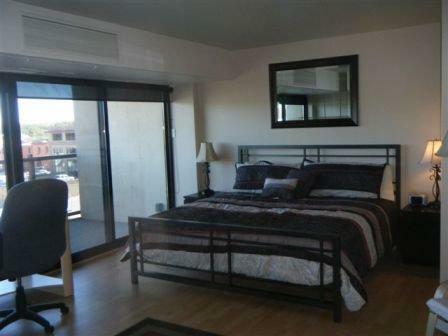 2 Bedroom/2 Bathroom Downtown Colorado Springs contemporary loft. This property features a large balcony with city and mountain views,hardwood floors, and granite counter tops. The building amenities include a fitness center, business center, gated entry, and two entertainment areas – one inside and one outside. To view additional photos, maps, or property information, please click here. 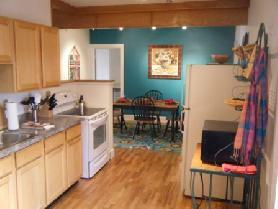 2 Bedroom/1 Bathroom Colorado Springs Town Home downtown. This property features modern furnishings with the convenience of living downtown close to restaurants, bars, and nightlife. There is a nice balcony off of the living room that allows for city and mountain views. There is a large eat-in kitchen and a bright airy feel. To view all of our fully furnished Colorado Springs accommodations, please call us locally at 719-442-4337, email us at ColoradoSprings@avenuewest.com, or visit us at ColoradoSprings.AvenueWest.com. This lovely flat is conveniently located to Colorado College and all the amenities downtown living offers.